Pascal was studying English in Montpellier. I knew him from my friend Babak, who met him at the Psychodrome, a small underground bar in the center of Montpellier, in which Babak was DJing in indie-rock-psychedelic parties every week. 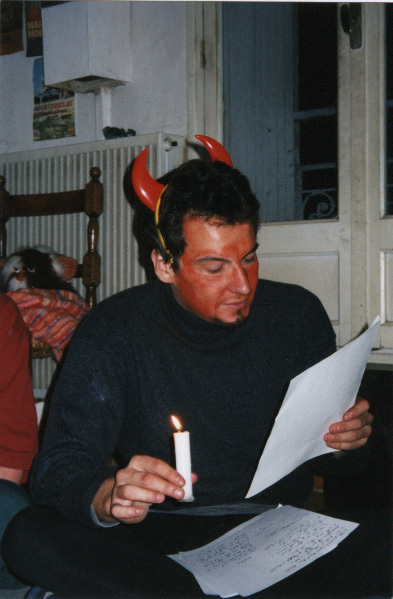 Pascal was also organizing great parties in his apartment of the center (such as in this picture). After Babak left for Canada, I stayed friend with Pascal and, along with a few friends (Guillaume and Laurent), we replaced Babak and his friends at the Psychodrome, in which we have been organizing indie-pop-rock parties every week for a few years.